P.A.W.S. by Debbie Manber Kupfer has been re-released with a brand new cover and a bonus story! Today was Celia’s tenth birthday. This was not how she imagined celebrating it. She was with her family – her mama, Miriam; her papa, David; her elder brother, Issel; and her baby sister, Sara. They were huddled together in the back room of their tiny two-room apartment in Grosse Spielgasse, in the dark, barely breathing. Outside the building, the boot steps got nearer and nearer. Celia heard shouting, screaming, gunshots. She crouched down even closer to the ground, wishing that somehow they could all melt away into the shadows. Celia clutched her cat, Max, tightly in her arms, feeling his warmth, his soft tabby fur close to her skin, willing him to stay quiet. Her mama cradled little Sara at her breast, nursing her so she would not cry out. Outside, the pounding footsteps were getting closer, closer: “Juden, Juden, Heraus, Heraus, Schnell, Schnell!” Now they were at the door of the neighbors – the Wassersteins. She heard crying and a single gunshot. Celia approached Miriam cautiously, still clutching Max to her. “What is it, Mama?” she asked, gazing into Miriam’s blue, blue eyes. She studied her prematurely wrinkled face, memorizing every crease. Mama, my mama, she thought. “I love you, Mama,” Celia whispered as she fastened the chain around her neck just as the doors burst open. Six Gestapo soldiers rushed into their home – “Juden, Heraus, Heraus, Schnell, Schnell…” Celia watched as her family was herded out of the door. Young Miri has had a wonderful life. Until one day when tragedy strikes, and she is sent off to boarding school where she doesn’t fit in. Her only solace lies in reading, writing, and sitting under her favorite oak tree. When being bullied, Miri discovers a startling secret that changes her life. 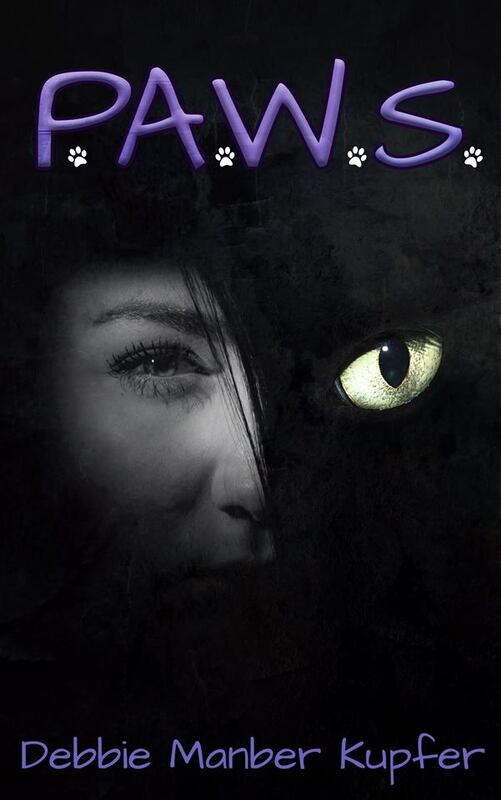 Soon, Miri finds herself on a journey to discover who she really is and finds new friends at P.A.W.S. (Partnership for Animagi, Werewolves, and Shapeshifters). But, there’s a powerful man with secrets of his own, and he’s determined to destroy Miri. P.A.W.S. had me hooked from the first page of the prologue! I did not want it to end. Debbie Manber Kupfer is a talented writer who drew me into the lives of the characters. The detailed description of Miri’s happy life before the tragedy struck made me feel even worse for Miri. The author did this for other characters in the book as well, and the contrast of their pleasant lives against their tragedies created an emotional bond for me with the characters. The sensory descriptions in this book transported me into the story. I could feel the characters’ pain and joy. The story was full of action and magic and kept me turning the page to find out what would happen next. I highly recommend this story, and I can’t wait for the sequel! This is a cute short story that had me chuckling. Bobbert the clown loses his weasel and finds him hanging out with a kangaroo, an animal that’s definitely not native to the area. When the kangaroo disappears, poor Bobbert questions his sanity. And be sure to pick up a copy of Argentum, the sequel to P.A.W.S. Debbie grew up in the UK in the East London suburb of Barking. She has lived in Israel, New York and North Carolina and somehow ended up in St. Louis, where she works as a writer and a freelance puzzle constructor of word puzzles and logic problems. She lives with her husband, two children and a very opinionated feline. Her first novel, P.A.W.S., was published originally in June 2013 and her second book in the series, Argentum, was released in October 2014. In addition she has stories in several anthologies including Fauxpocalypse, Shades of Fear, Darkly Never After, and Sins of The Past. In February 2015 she published a book of logic puzzles, Paws 4 Logic, with her son Joey. She believes that with enough tea and dark chocolate you can achieve anything! Day 2 – P.A.W.S. Reboot Blog Tour – S. M. Lowry.